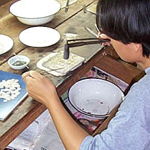 The Thai jewelry artisan skillfully craft a beautiful necklace from sterling silver. The artisan sets amethyst in the center of a shiny star and enhances the design with faceted marcasite. Materials: Sterling silver (.925), amethyst and marcasite. 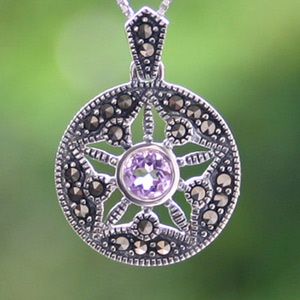 This marcasite and amethyst pendant necklace is handmade by jewelry artisans in a workshop located in Bangkok, Thailand.